What is a Virtual Meeting and How Can You Utilize It? 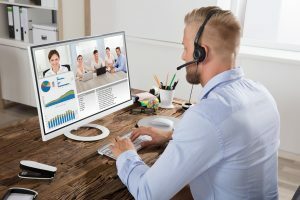 The use of virtual meetings have dramatically increased over the years to the point where it now plays a key role in the lives of businessmen. These meetings are constantly used in conducting business, either to communicate with clients or collaborate with their fellow employees residing in a different country. When used properly, it’s considered as an instrument that improves a company’s efficiency and productivity. But what exactly is a virtual meeting? Unlike traditional or face-to-face meetings, virtual meetings can be held anytime regardless of the participants’ current location or difference in time-zones. It lets colleagues discuss their ideas with one another without having to be together physically. As a result, it saves time and also cuts back on travel costs for everyone involved. Moreover, almost anyone can use it since it only requires a stable Internet connection, webcam, and audio, either via telephone, mobile phone, or a computer. Holding a large conference call is the way to go if you plan to facilitate a meeting with a huge number of participants from various locations. 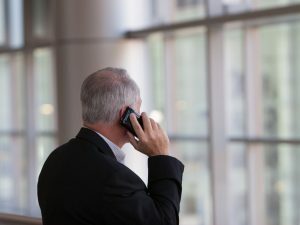 Not only will it save you a significant amount of time and money but maximizing the features of a large conference call also lets you connect with participants from all over the place with just a press of a button. However, since large event calls typically involve hundreds to thousands of attendees, it might be too much to handle — especially if you’re a non-experienced host. There have been several debates about working remotely and whether it does or does not increase organizational productivity. 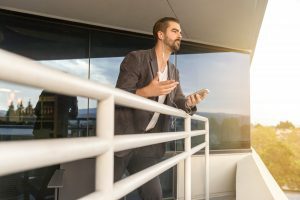 While it’s true that employees who work remotely can flexibly contribute to the business and help reduce costs, remote working isn’t for everyone and has its disadvantages as well. Of course, every challenge has its own corresponding solution. In this case, some disadvantages faced by remote working can be solved through the use of virtual meetings. Virtual meetings have slowly become more and more common in multiple businesses. Some consider it as a tool that could further improve a company’s effectiveness when used properly whereas there are those who still remain skeptical. This bears the question, what are virtual meetings and how exactly does it contribute to employee productivity? This guide will discuss the following aspects and help you further understand virtual meetings and how it can benefit your company. The use of international conference calls have become important for many businesses as this allows them to reach globally, therefore increasing their company’s potential and the possibility of having more clients. Moreover, by having international access, communication between the company and its employees, co-workers, colleagues, and the like, is achieved without the disadvantages that is commonly experienced with traditional meetings.